Willey was transferred to the ICU at UM Prince George's Hospital Center, where she has life-threatening injuries, Cameron said. "This morning, our family was devastated to learn that our beautiful Jaelynn was one of the victims in a school shooting at her high school, Great Mills," read a family statement provided by Willey's uncle. The 14-year-old male victim is in good condition, according to the MedStar St. Mary's Hospital. Rollins has died, Cameron said. "On this day we realize our worst nightmare — that our greatest asset, our children, were attacked in a bastion of safety and security," Cameron said. The student opened fire at 7:55 a.m., Cameron said. 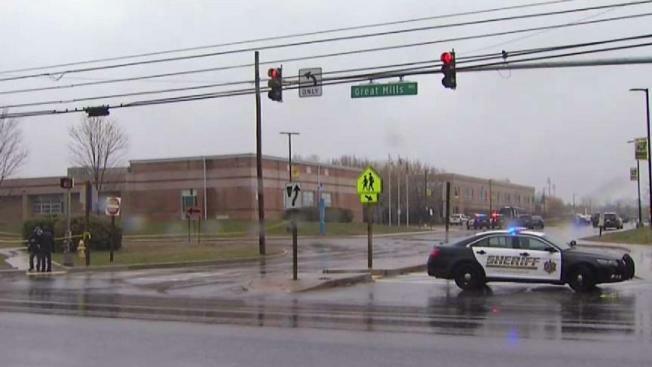 Students and parents say they are uneasy after a student shot two other students at Great Mills High School in Maryland. Darcy Spencer reports. Terrence Rhames, an 18-year-old student, told MSNBC that he and his friends were talking in the hallway when they heard a gunshot. "We were just standing there talking and we heard like, a loud shot, like a few yards away from us," Rhames said. Rhames said he and his friends started running to the main road outside and saw others "flooding out" the main entrance. Others hid in classrooms. "If you don't think this can happen at your school, you are sadly mistaken. 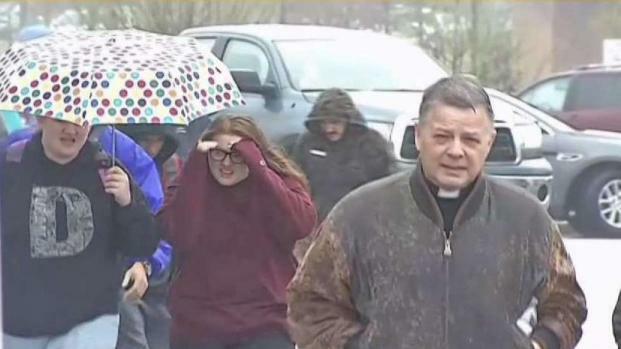 We are shaken but we are very strong at St. Mary’s," St. Mary’s County Public Schools Superintendent James Scott Smith said. The shooter and a school resource officer each fired a round, but authorities don't know if the officer's bullet killed the suspect, Cameron said. The officer, whom Cameron identified as St. Mary's County Sheriff's Deputy Blaine Gaskill, was not hurt. "In the days to come, through a detailed investigation, we will be able to determine if our SRO's round struck the shooter," Cameron said. Neighbors of the gunman in the Great Mills High School shooting are surprised he could do that. Meagan Fitzgerald reports. The school was locked down and the incident was contained, according to the school's website. Cameron told News4 that his department prepares for emergencies. But despite the fast response of the school resource officer, or SRO, two students were still shot. "You train to respond to this and you hope that you never ever have to," he said. "This is the realization of your worst nightmare — that, in a school, that our children could be attacked. And so as quickly … as that SRO responded and engaged, there’s grievous injuries to two students." He added, "Now begins the second phase of this operation, and that’s the background and the investigation and the attempt for the school to return to normal." Willey's family said she is the second oldest of nine children and is a member of the school's swimming team. They asked to consider donating to her fundraiser here. A Twitter post from the St. Mary's County Sheriff's Office asked parents not to report to the school. They were asked to go to nearby Leonardtown High School to reunite with their children. Family members of the students parked along roads and in nearby shopping centers as they rushed to meet their kids. One recent graduate hurried to pick up her sister, who texted her that she was "terrified." A mother who rushed to pick up her daughter after the school shooting Tuesday spoke with News4's Darcy Spencer. Agents of the FBI and the Bureau of Alcohol, Tobacco, Firearms and Explosives went to the community to assist with the investigation. 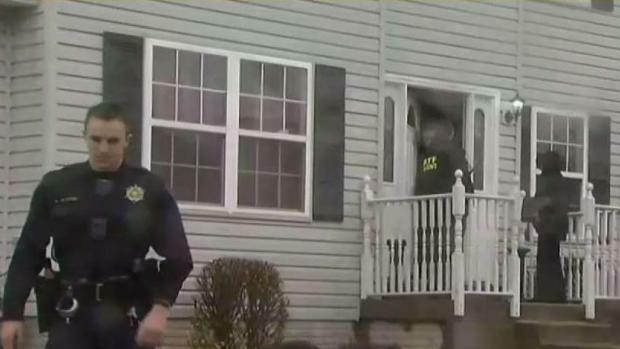 ATF agents searched Rollins home, and investigators are reviewing surveillance video from the school and looking at Rollins' social media accounts. Gov. Larry Hogan said he was praying for the victims, their loved ones and the community. "It sure sounds like this is exactly how it should have been handled," Hogan said. "Had a very capable school resources officer that also happened to be a SWAT team member. This is a tough guy, who apparently closed in very quickly and took the right kind of action and I think, while it's still tragic, he may have saved other people's lives." Maryland's Senate joined the House Monday night to ban bump stocks, which enable a semi-automatic rifle to mimic a fully automatic weapon. President Donald Trump was made aware of the shooting, and the White House is monitoring the incident, press secretary Sarah Huckabee Sanders said on Fox News. The shooting comes four days before the national March for Our Lives, a rally for student safety inspired by last month’s massacre at Marjory Stoneman Douglas High School in Parkland, Florida. "We are Here for you, students of Great Mills," Parkland student activist Emma Gonzalez tweeted, adding, "together we can stop this from ever happening again." 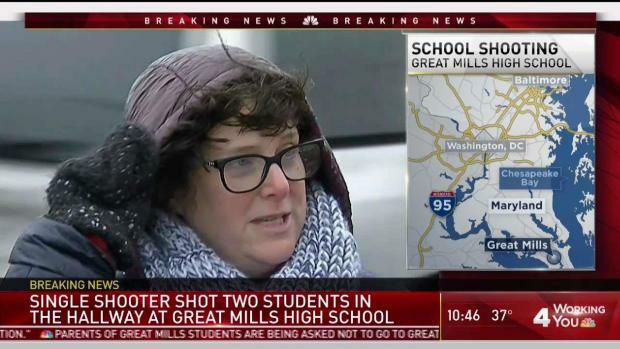 Just days ago, students at Great Mills High walked out of class to protest gun violence, The Bay Net reported. "After the walkout, this happens," one student said. 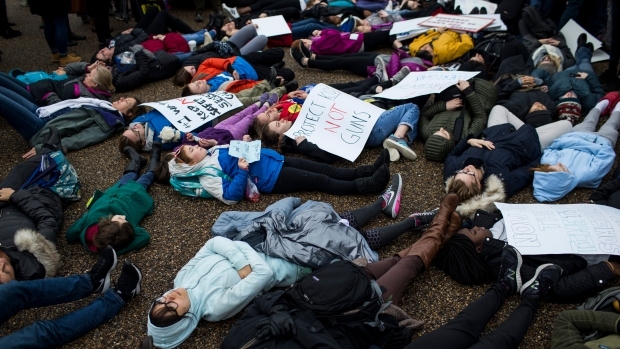 "It's like there was no point of the walkout." 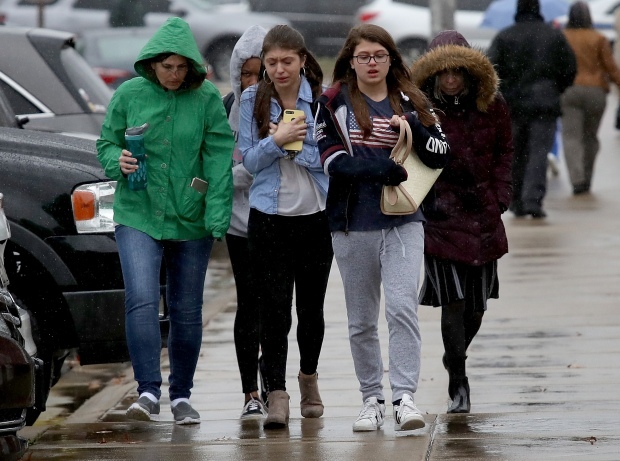 Threats of a possible shooting at the school were investigated last month and found to be "not substantiated," the principal said. Principal Jake Heibel told parents that school officials interviewed two students in February who were overheard mentioning a school shooting and found that they posed no threat. 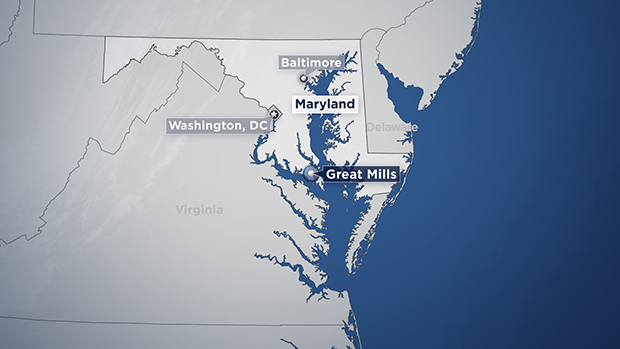 Rep. Steny Hoyer, the Democrat who represents the area in Congress, said he was sickened to hear the news about the shooting and advocated for universal background checks for weapons. "Background checks just make common sense to make sure people can and will use a weapon thoughtfully and not dangerously," he told News4.